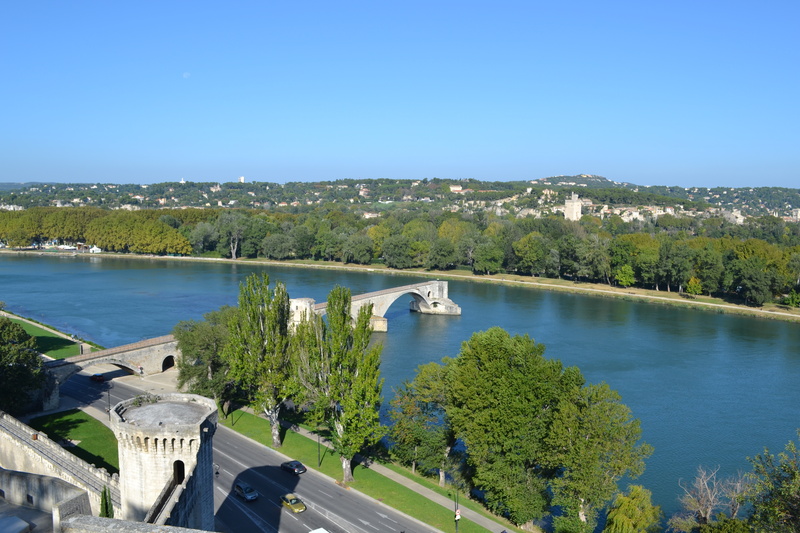 After leaving Moux, we were heading along the coast towards Nice so decided to break up the trip with a stop off in Avignon for the night. However, the highlight of this trip was getting to stop off for lunch in Montpellier to catch up with Alex’s French exchange student Salome, who we had not seen for about 5 or 6 years. We finally made it to the University where she was on a break between class, so got to catch up for about an hour and a half. Only after we left did we remember that we should probably have taken some photos, sorry Alison! 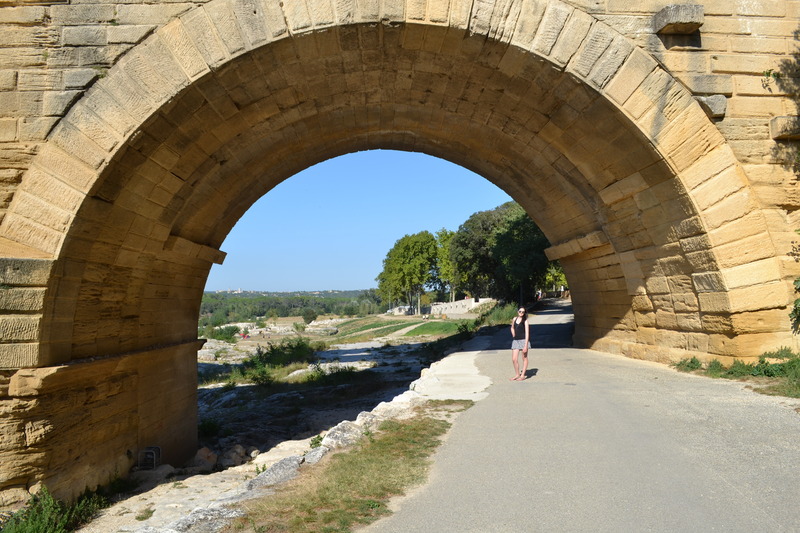 After catching up with Salome, we stopped off at the Pont du Gard – a large roman aqueduct not far off the main road between Montpellier and Avignon. This place was incredible. We had both seen pictures of this before but were amazed by the sheer scale of the engineering when we were up close. 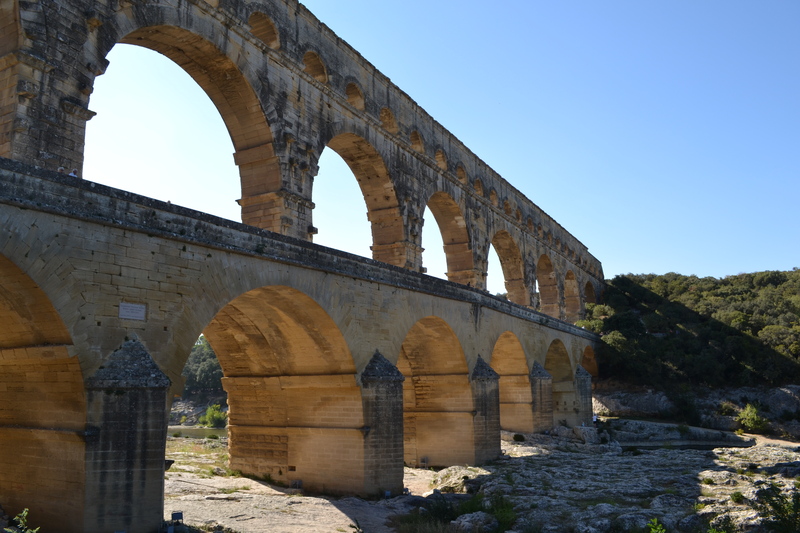 The Pont du Gard was built is the first century AD to carry water to the city of Nimes. 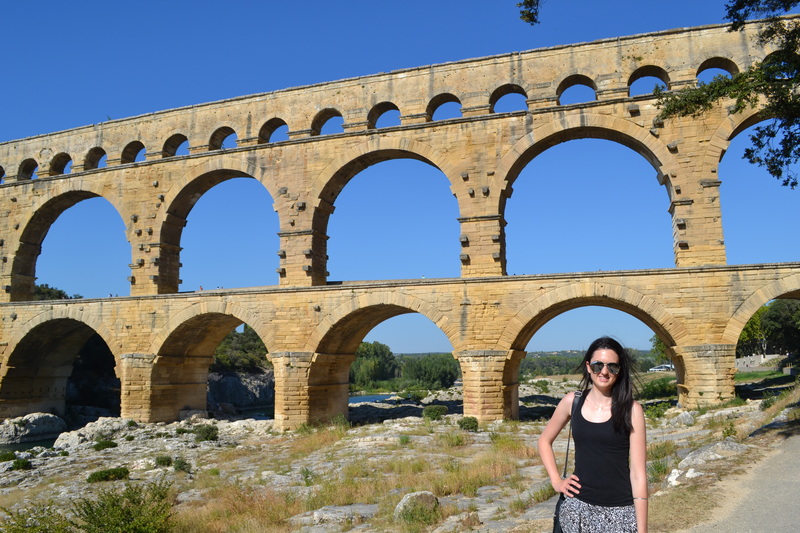 This has not been used as an aqueduct since the 6th century and one of the main reasons that this has survived so long is that because of the scale of the bridge, it was used as a toll bridge from the 6th century on (these damn toll roads have been existence since then!!). 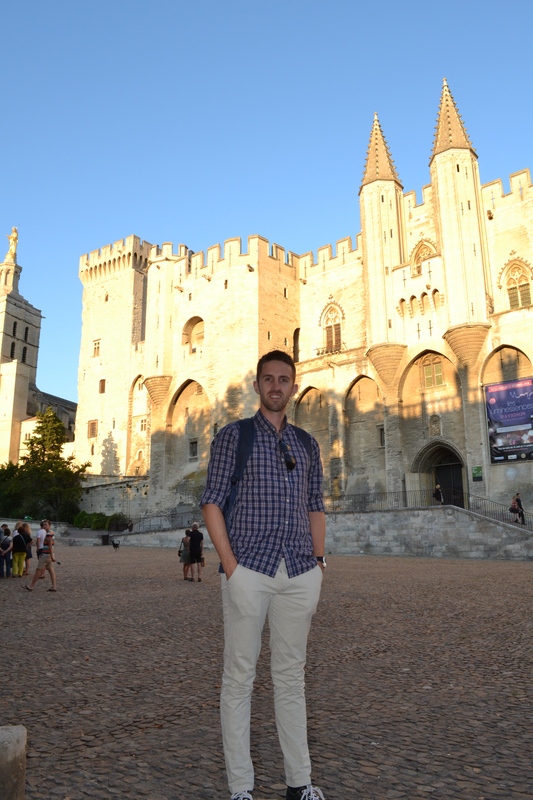 We made it to Avignon in the afternoon and did not really have much of an idea what to expect apart from what we had hastily researched in the Lonely Planet book on the car ride down there (mainly about the pope palace, gardens, bridges etc), so dropped our bags off and went for a walk. We explored within the walled town and just mooched around until dinner time where we tried to find a few places which were recommended by Lonely Planet but were closed when we went to find them which was a bummer. We ended up having dinner at a nice place in a square outside which was very agreeable but nothing special. 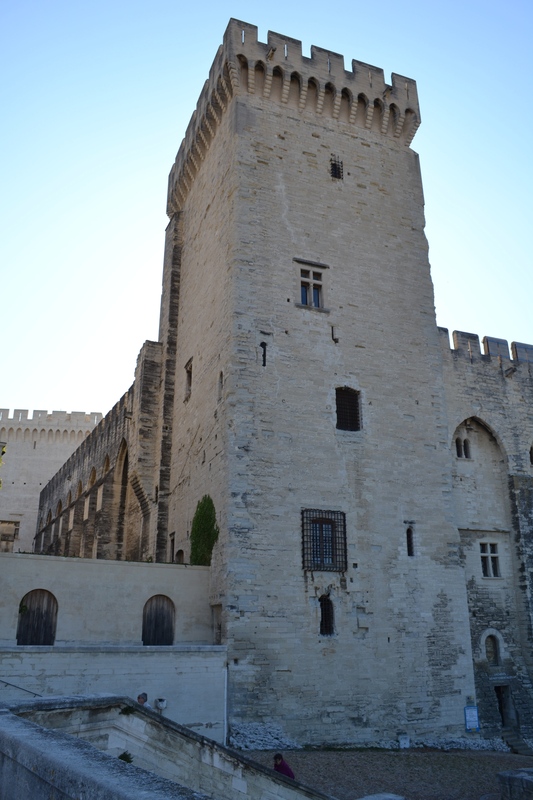 We got up early in the morning and had breakfast in the old town (coffee, croissants and orange juice) which was a hideously expensive surprise considering all of the cheap food we had been eating in the smaller towns in France and Spain, oh well. Had a look around the palace gardens and got a good view of this famous bridge that the guidebook went on and on about. 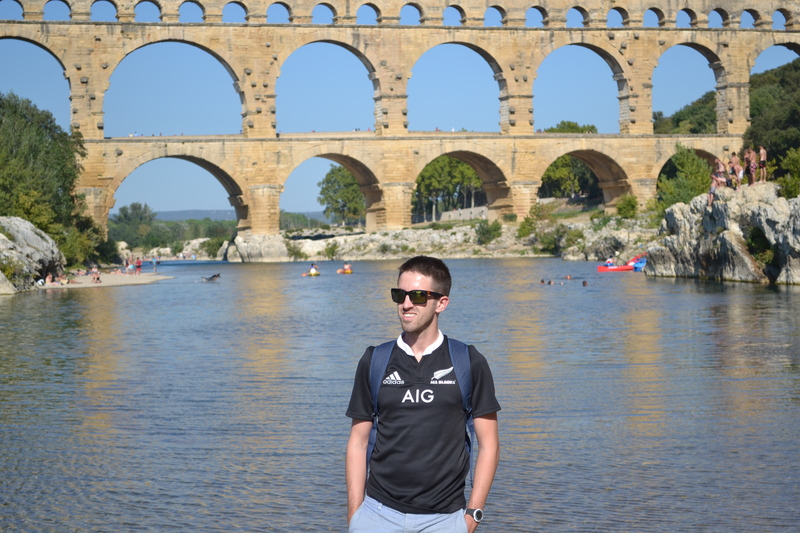 Turned out to be half a bridge – didn’t make it over the river so I don’t know why they were so proud of it…. Alex was coming down with a cold so we went back and chilled out in the hotel for a bit and then hit the road so that we could make it to Nice at a reasonable time. Time for an update? We wanna hear what you did in Italy!! !